iOS 12, the latest of the Apple’s mobile operating system is set to release for the general public on Sept. 17. But before the public version makes it, developers and beta testers can already download a golden master update. To make iOS 12 as perfect as possible, Apple decided to release the beta versions of firmware to developer and testers. The purpose was to identify and report any bugs in iOS 12 before its final release. Just like how update error on iOS 12 beta was identified and fixed with the new beta update. In this undertaking, 12 developer beta and 10 public betas have been released. Finally, after the Apple event on September 12, the GM version of the firmware is ready to roll out for the public. Cydia Alternative on iOS 12: Sileo Download on iOS 12 iPhone/iPad No Jailbreak. What is the iOS 12 Golden Master release? The Golden Master or GM version is the final developer release of iOS 12. It is meant to identify and fix any last bugs or issues in the firmware before the stable release. Developers use the GM version to update their apps for the latest iOS version, incorporating its new features. If there are no issues in the GM release, the stable release will exactly the same as the GM release. But if you can’t wait for the official release of the final build, you can download the GM release on your device. 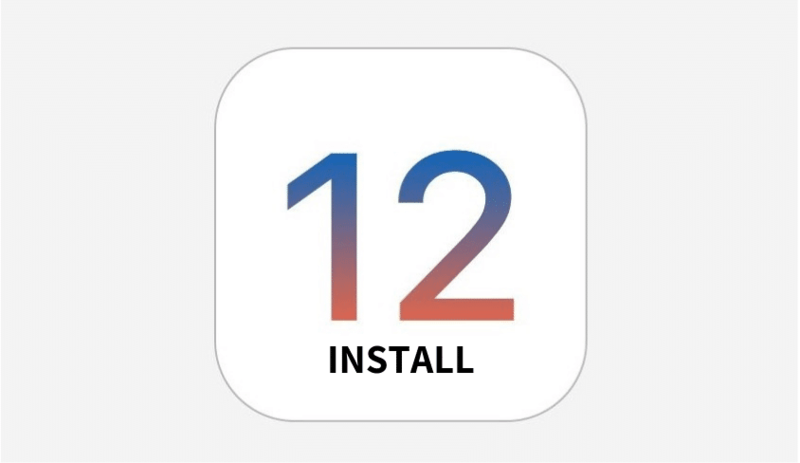 In this post, we will tell you how to download the iOS 12 GM IPSW links and OTA update. But before even the public version of iOS 12 is out, a researcher has managed to achieve r/w access on iOS 12 beta firmware, which could help in the development of iOS 12 jailbreak. iPhone 5s/6/6s/6s Plus/SE/7/7 Plus/8/8 Plus/X, iPhone xs, iPhone XS Max. 7 inch iPad(5th and 6th Gen). 7 inch/10.56 inch iPad Pro. 12-inch iPad Pro(1st and 2nd Generation). Update your device to iOS 11.4.1 – To receive iOS 12 OTA update, your device must have iOS 11.4.1 firmware. iOS 11.4.1 fixes several bugs and issue in the iOS 11 and it makes the device ready for iOS 12 update. Make a backup of your data – Before you upgrade your device to iOS 12, make sure to backup all data on it. In case something happens during updating, you will be able to recover your data from the backup file. Clean up space on the device – To download the iOS 12 update on your device, you need to have enough free storage space on it. Keep at least 2 GB of free space on the device updating. If you don’t have enough free space, you can delete some apps or games that take up most space. Keep the apps updated – To fully utilize the new features of iOS 12, make sure to update your apps to the latest versions. As iOS 12 will incorporate many new features, app developers will update their apps to benefit from these new features. When you finally upgrade to iOS 12, you will be able to utilize the new features of the apps immediately. Apple has specifically released the iOS 12 GM for developers registered with Apple Beta Developer program ahead of the general public. If you are an Apple Beta developer, then you can download the iOS 12 GM update on by accessing your account at https://developer.apple.com/. You can either download the IPSW file on your PC and update your device using iTunes. The other way will be by downloading the OTA configuration profile and install it on your iOS device. Then restart your device and then you can update by going to Settings > General > Software update. But, you will require a developers account to download the GM update through these methods and it costs $99/year. If you don’t want to spend money by registering to developer’s program you can learn how to install iOS 12 on your device without developers account. You just need to download and install appropriate iOS 12 GM configuration profile on your device when it is available. The latest version of iOS i.e. 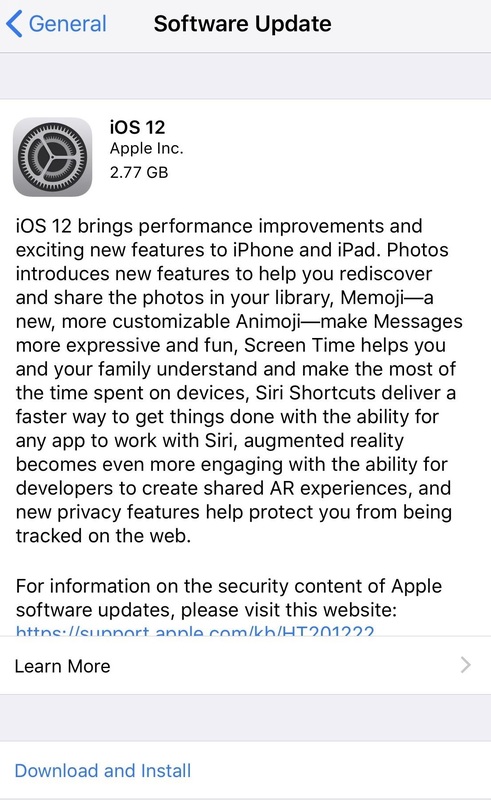 iOS 12 is ready for the general public as indicated by the release of GM version. The GM version will release as the stable public release of iOS 12 in the upcoming days. Developers can download the official GM update from their developer account before the general public. [Released] IPAPatcher for Electra Jailbreak on iOS 12/11.3/11+[iPhone/iPad]. Emus4u for iOS – Use & Install Emus4u on iOS 12/11.3.1/11.3/11+ No Jailbreak.